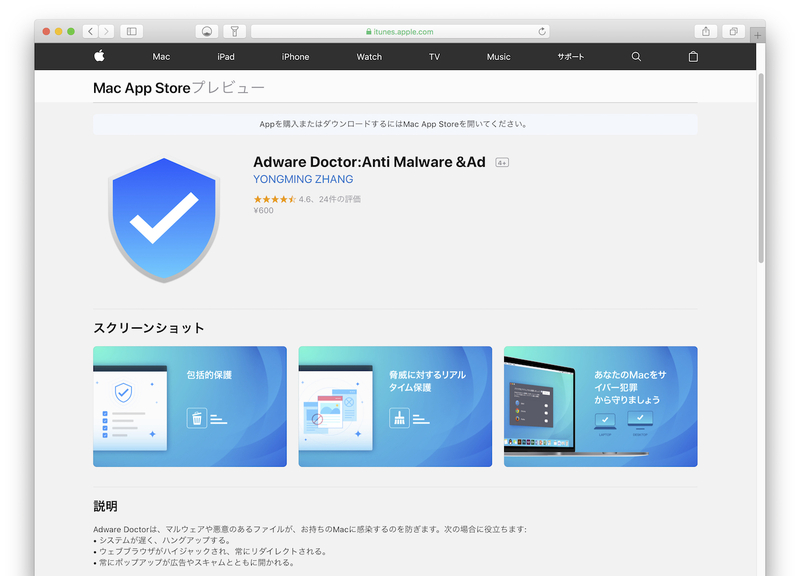 MacAppStoreランキング上位の「Adware Doctor」というアプリにユーザーのブラウザ履歴を収集し中国のサーバーへ送信する機能が発見され、AppleがStoreから削除。 | AAPL Ch. In this video I will present you some facts about two major application found in the Mac AppStore: Adware Doctor and Komros.Both of them are from the same Chinese developer and both of them are stealing information from the Mac Users..Atention US Users: Russia hacked your elections. Maybe the Chinese will be next. DON’T BE A VICTIM. STOP USING THIS APP. Thank you for contacting App Store Review. 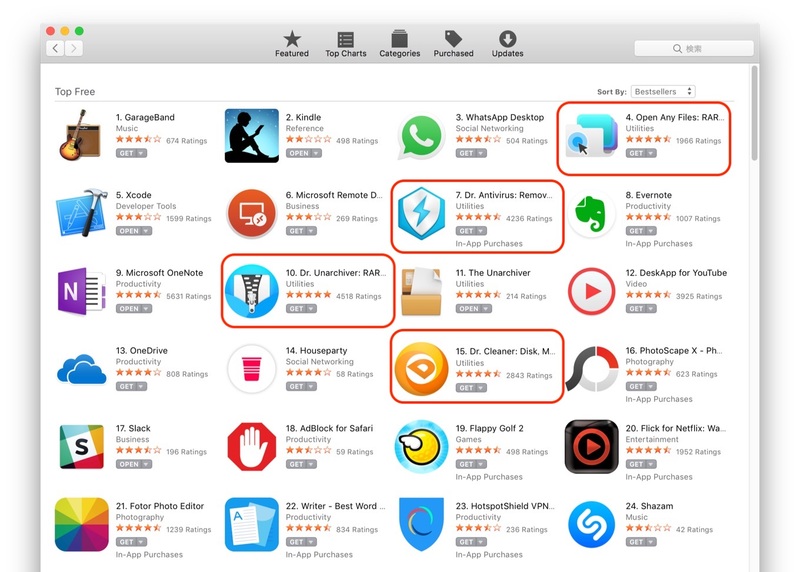 From your email, we can see that you would like 3 apps that maybe violating the App Store Guidelines. We have forwarded your feedback to the appropriate team. Someone from that team will investigate and follow up as needed with the developer.